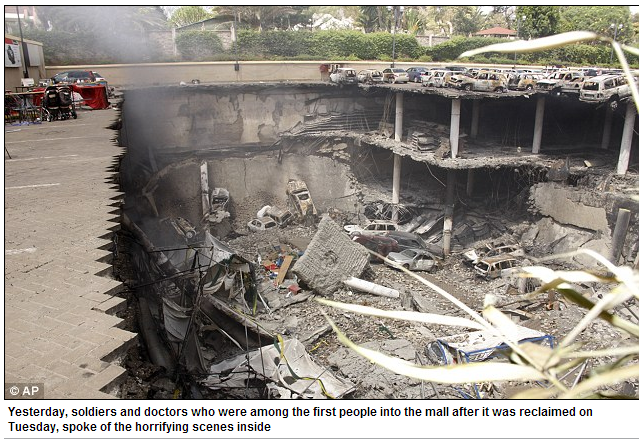 MANY OF THE MASSACRED VICTIMS IN NAIROBI KENYA WERE BRUTALLY TORTURED BEFORE BEING MURDERED…….. – The Tundra Tabloids……. 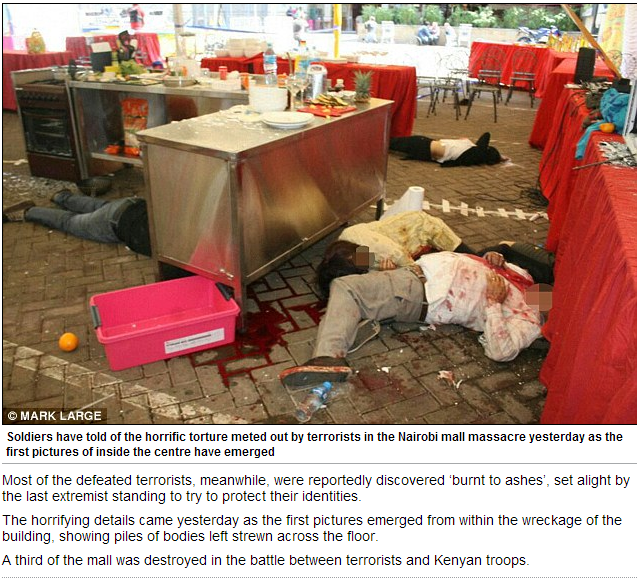 MANY OF THE MASSACRED VICTIMS IN NAIROBI KENYA WERE BRUTALLY TORTURED BEFORE BEING MURDERED……..
Next Post Next Post AL-SHABAAB’S ‘METICULOUS VETTING PROCESS’ SEPARATED INFIDEL FROM MUSLIM……. 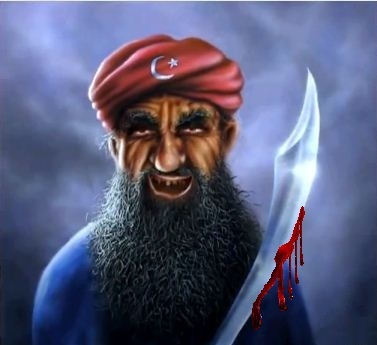 The depravity of the terrorists is something beyond belief, almost impossible to imagine. Sadly it’s not an anomaly, this is the way of Islam from its inception. Just think of Nazi Germany winning WWII and 500 years into the future, as Westerners reject national socialism and lambasted as bigots and Naziophobes. That is an accurate comparison. The details are unbearable. Those poor souls who suffered. I have never read anything so barbaric.